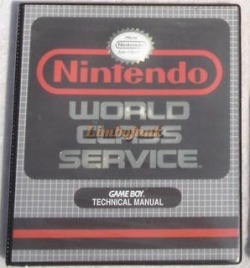 This binder has a rather large array of schematics, diagrams, product information, part listings and other information pertaining to the original Game Boy video game system. It was available to Service Centers who actually did repairs on system motherboards and parts as well as the games and accessories. Below is a general listing of the Table of Contents.